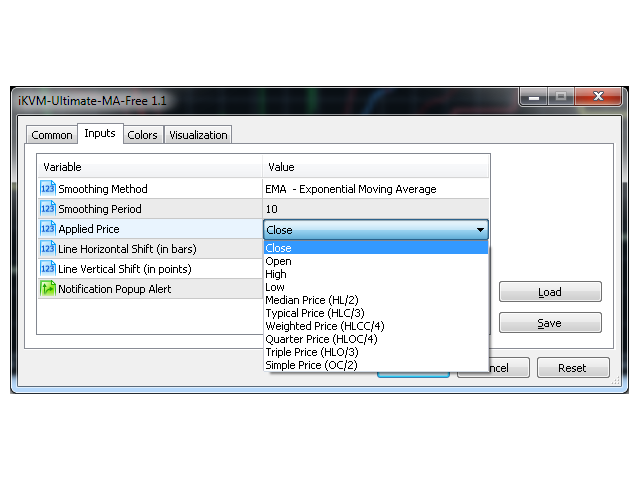 The KVM Ultimate MA is a Multiple Time Frame (PRO version only) Moving Average indicator that provides a large number of different types of moving averages, price calculations and shift methods! It uses different colors to indicate the direction of the line or to fire an alert on color change as this could be an important signal on the chart! It is optimized for speed, easy use and configurability! 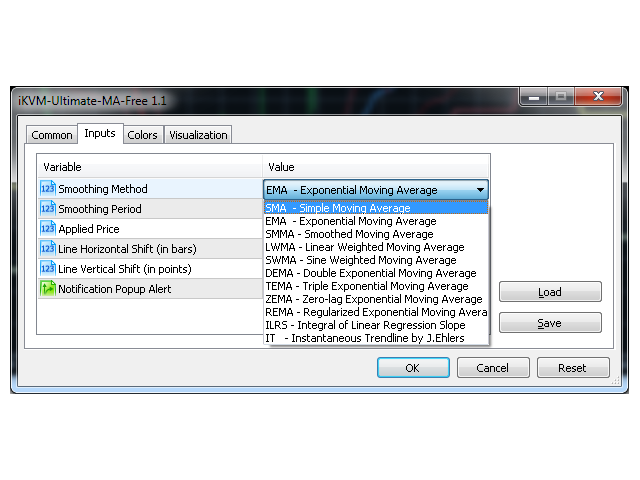 Smoothing Method - Lets you choose the type of the moving average (default: EMA). 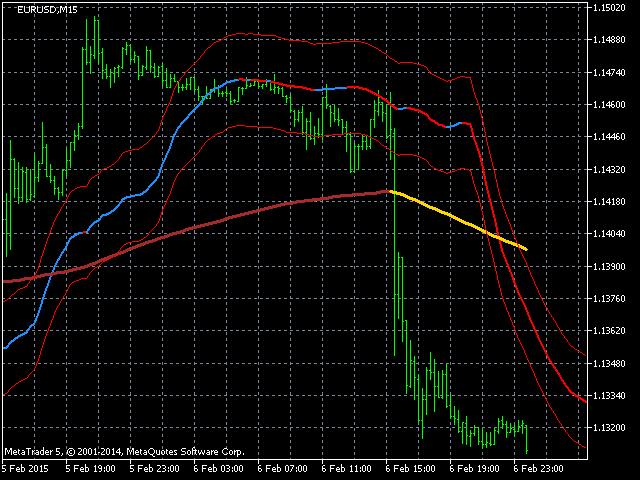 Smoothing Period - Lets you choose the period of the moving average (default: 10). Applied Price - The price that will be used in the calculation (default: Close). 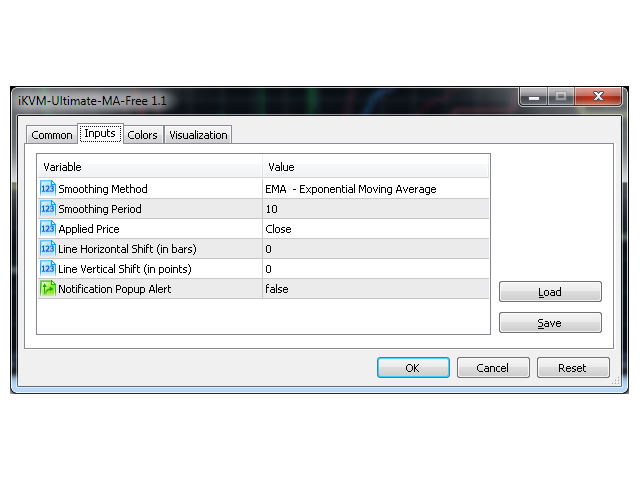 Applied Timeframe - The timeframe that will be used in the calculation (default: Current) (PRO version only). Line Horizontal Shift - The line will be drawn shifted relatively to the current bar (default: 0). Line Vertical Shift - The line will be drawn shifted relatively to the current value (default: 0). Notification Popup Alert - Enables you to receive an alert notification when a color change occurs (default: false). FIX: Bug in Alert notification.